Born in Jacksonville, FL, in 1934, Sherwood Smith grew up in the north Florida city, where his father was a state government official and then a broadcasting executive. Junior Achievement In 1952, he entered the University of North Carolina at Chapel Hill, graduating with an A.B. degree in 1956. Sherwood served a year in the military, before returning to Chapel Hill as a Morehead Scholar in the School of Law. He received his law degree in 1960. He joined the Charlotte law firm of Lassiter, Moore and Van Allen in 1960 and moved to Raleigh in 1962 to join the law firm of Joyner and Howison. In 1965, he joined Carolina Power & Light (CP&L) as associate general counsel and became a board member in 1971. He was named CP&L president in 1973 and added the chief executive office responsibilities in 1979. Upon the death of Shearon Harris, Sherwood became the chairman of the board of directors in 1980. He served as CEO until October 1, 1996, and chairman until May, 1999. During these three decades, the investor-owned utility saw tremendous expansion and increasing business and consumer demand for electricity. He has served as director to many organizations, including the North Carolina Microelectronics Center, Wachovia Bank & Trust, Hackney Brothers Body Company, Rex Hospital, the Business Roundtable, Business Foundation of North Carolina, (trustee) Z. Smith Reynolds Foundation, Inc., Nortel Networks, Springs Industries and Northwestern Mutual Life. Smith led the successful Bicentennial Campaign for Carolina from 1989-1995 for UNC-Chapel Hill, raising $442 million in private contributions and grants. He is vice chairman of the North Carolina Community Foundation. Smith also served as vice chairman of the Research Triangle Foundation and chair of the Triangle Universities Center for Advanced Studies. He served as president of the Greater Raleigh Chamber of Commerce in 1979 and vice chair of the Morehead Scholar selection committee. Among industry activities, he has served as chairman of the American Nuclear Energy Council, as well as director of the Edison Electric Institute, Southeastern Electric Exchange and the Southeast Electric Reliability Council. 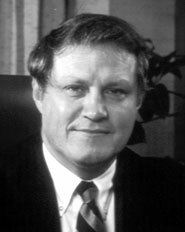 In 1977, Sherwood Smith received the Distinguished Citizenship Award from the North Carolina Citizens for Business and Industry, and in 1998 he was inducted into the North Carolina Business Hall of Fame. His wife is Eve Hargrave Smith from Lexington, NC.